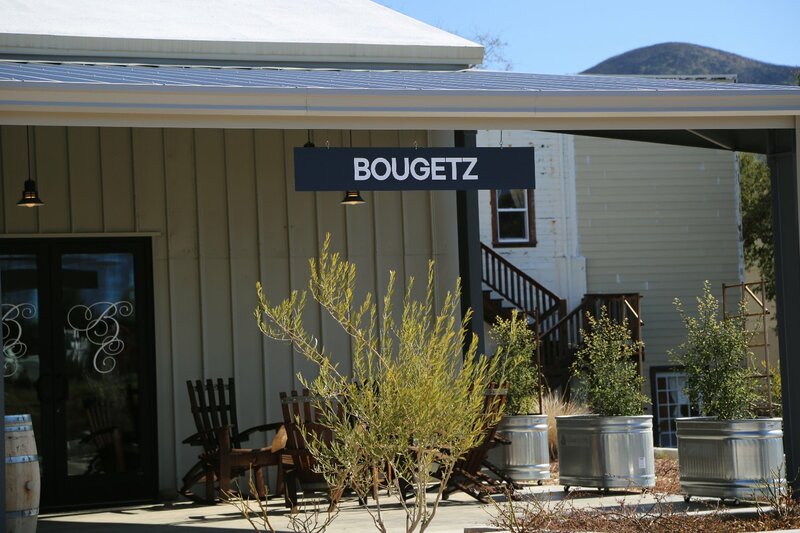 Bougetz Cellars was founded in 2008 by owner and winemaker Thomas Bougetz. Originally from Minnesota he went to school in Iowa – where he graduated from Iowa State University with a degree in Computer/Electrical Engineering (incidentally where he met his wife Joan who has a wine named in her honor). His work with Boeing NASA as an engineer took him to Seattle where he soon discovered the surrounding wine regions – including finding a passion for Oregon’s Willamette Valley and the Pinot Noir produced from this region. Wanting to learn more about how wine was made he enrolled in classes at the Northwest Wine Academy (a teaching winery run by South Seattle College). Thomas finished their Oenology program and also worked two harvest locally. Catching the wine bug Thomas began looking for a career change – one that would combine high tech with wine making. He discovered a position offered by a San Francisco based multi-client winery needing help in creating a system for categorizing and locating wine during its various stages of development including managing vineyard sources. 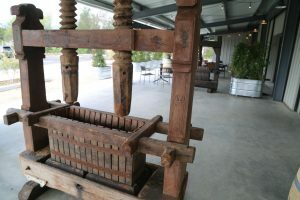 This was at Crushpad, a winery that produced numerous brands both for small and large wineries. Leaving his old job Thomas moved to the San Francisco Bay area and began working for Crushpad as their Vice President of Engineering. During his time there he began making his own wine – his first vintage was from 2008. 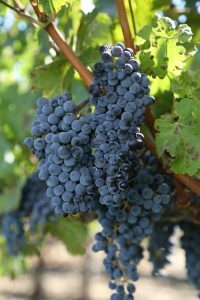 While Crushpad ultimately dissolved in 2012 their impact in the wine world lives on in a fairly influential way. During their time in business they setup a number of their own clients with prominent vineyards throughout the Napa Valley and beyond. We have met with numerous Napa based vintners who got their start in wine making at Crushpad who continue to make wine on their own or now have their own brands. And like a number of other vintners, Thomas cultivated both grower and vintner relationships while working at Crushpad – connections that he continues to use today including a number of their current vineyard sources. And these sources are from premium parts of the valley ranging from Coombsville, Atlas Peak, Mt. Veeder, Pritchard Hill and Rutherford among others. Thomas does not just purchase grapes from particular vineyards – he leases specific blocks of vines within vineyards so he can have direct control over them – from irrigation, to canopy management to harvest decisons. 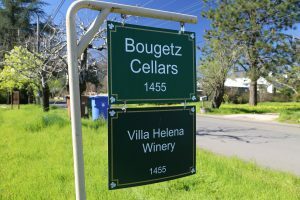 Despite the excellent reputation of the Napa Valley it often difficult for newer and smaller Napa based producers to stand out among the hundreds of wine producers in the valley. 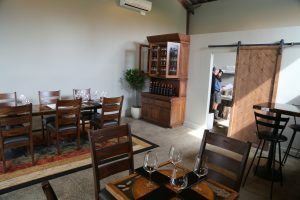 They don’t make much wine and they haven’t yet established any sort of brand recognition among serious wine enthusiasts (often takes at least 10 years in our experience) and haven’t had time to build a mailing list or wine club. 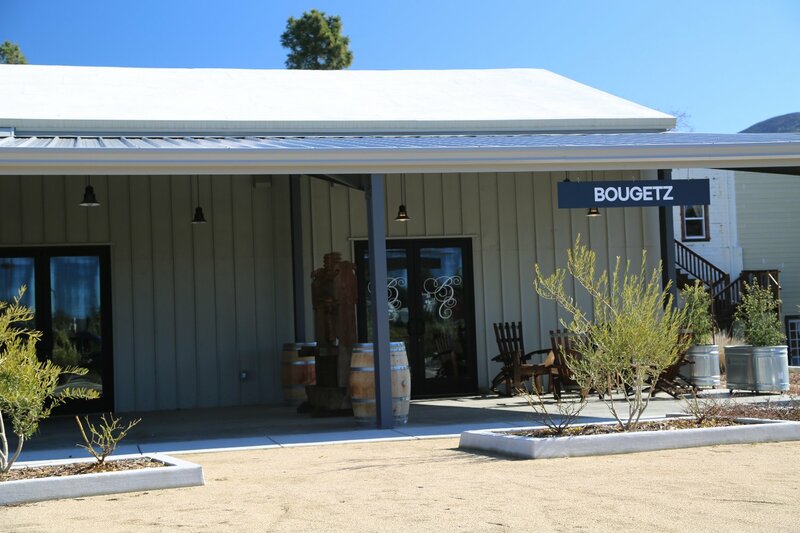 Therefore when Bougetz Cellars began earning high scores and positive reviews from wine writers – wine enthusiasts started to take note. The 2015 Sauvignon Blanc was sourced from a vineyard in Rutherford and contains 9% Sémillon. Immediately shows a pretty bouquet with honeysuckle, citrus blossom, a hint of flinty minerality, cut grass and as it opens more tropical nuances along with aromas of lemon. On the palate there are flavors of pineapple and peach – balanced across the palate it is fairly crisp on the finish with some spicy lingering undertones. Shows some weight on the mid palate without being heavy. Drinks very well by itself – drinks even better with a room full of friends (from personal experience). 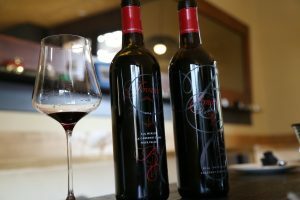 A rather unusual offering for a Napa grown and produced wine is their proprietary blend called Jovana – named in tribute to Joan (the Italian equivalent to her name). This wine varies each year but always contains Merlot and Cabernet Franc. 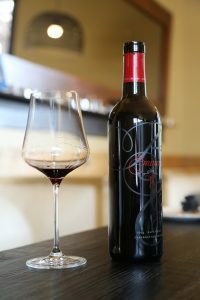 The 2014 vintage is a blend of 65% Merlot and 35% Cabernet Sauvignon with each varietal coming from single vineyards (Merlot from Oak Knoll and the Cabernet Sauvignon from Mt. Veeder). Fairly dark in the glass. If a wine’s bouquet was to define the word elegance, this wine certainly does so. Slightly floral initially as the wine opens reveals bright aromatics including blackberry, dark cherry and plum and a kiss of mocha. Shows excellent flavor, balance, acidity and a very polished finish (with subtle slightly earthy tannins). 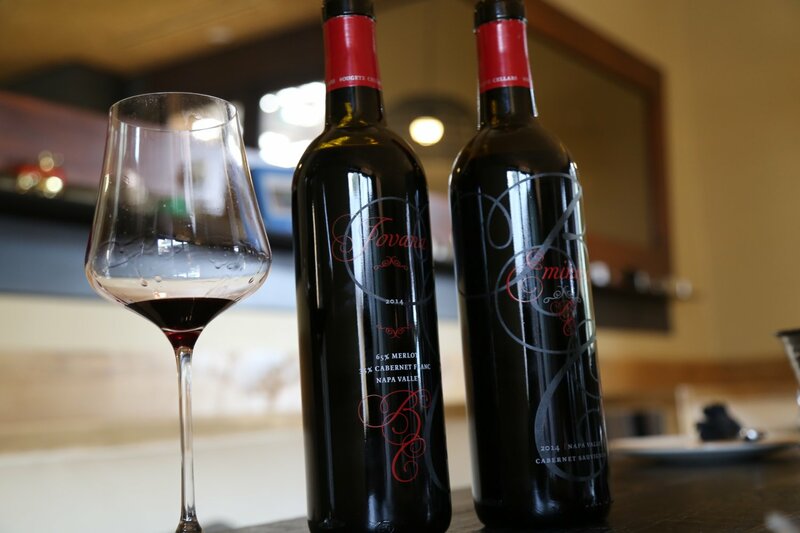 The 2014 Eminence is one of three Cabernet Sauvignons they produce including the Amaryllis and the Prominence – and is arguably the lightest style of the three. The 2014 Eminence Napa Valley Cabernet Sauvignon is blended with 4% Merlot and 4% Petit Verdot. Shows a voluptuous and pretty nose with plenty of fruit and aromas of black olive, licorice, cloves and milk chocolate. Very layered aromatically. Shows darker fruit on the palate framed with good acidity. Polished tannins ensure a smooth finish. A very good value for a Napa Cabernet Sauvignon. Thomas is a winemaker who prefers to stay in the background if you will – letting his wines create publicity for his work rather then spending personal time promoting and traveling to market the brand. And in 2014, recognizing the fact he wasn’t able to do both wine making and sales he hired Jennelle Manzanares who for several years was responsible for sales and marketing the wines. Until 2019 Bougetz Cellars did not have a formal tasting room and Jennelle would sometimes bring tastings of Bougetz Cellars on the road – to select events and locations including to the annual Loyola Marymount Tasting at LMU in Los Angeles (an excellent tasting that Los Angeles wine enthusiasts should put on their radar for the end of every January). 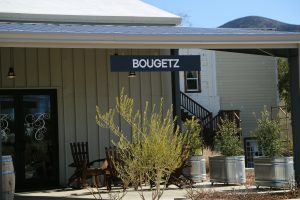 However in early 2019 Bougetz Cellars opened a small tasting room in a part of the city of Napa called Vichy Springs – or what we call the Silverado Wine & Arts District, home to several wineries, tasting rooms and art galleries). 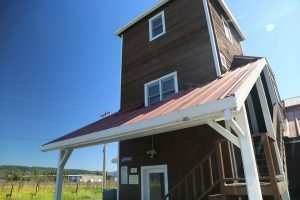 The primary building on site houses several winery tasting room neighbors and is estimated to date from the 1950s. It has seen many uses over the years including as a machine shop, storage for an art gallery, possible use when whisky was being distilled nearby and for yoga. 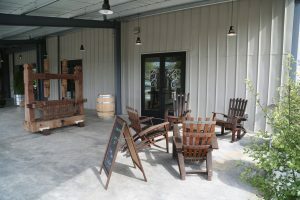 And because this is within the city limits of Napa, the tasting room is not confined to the same regulations as if they were in the county. However, while in the city limits, this is certainly not an urban tasting room (about a 10 minute drive to downtown). One primary perk of being within the confines of the city include being open to the public by walk-in. 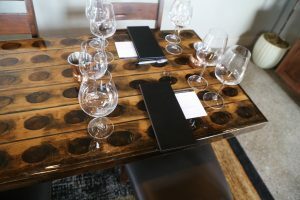 Several unique tables are setup for couples or small groups with the tables being made out of embedded heads of barrels, corks and even one riddling rack inside some sort of see through acrylic material. Several paintings hang on the walls including some during our visit by noted Napa Valley based artist, Layla Fanucci. 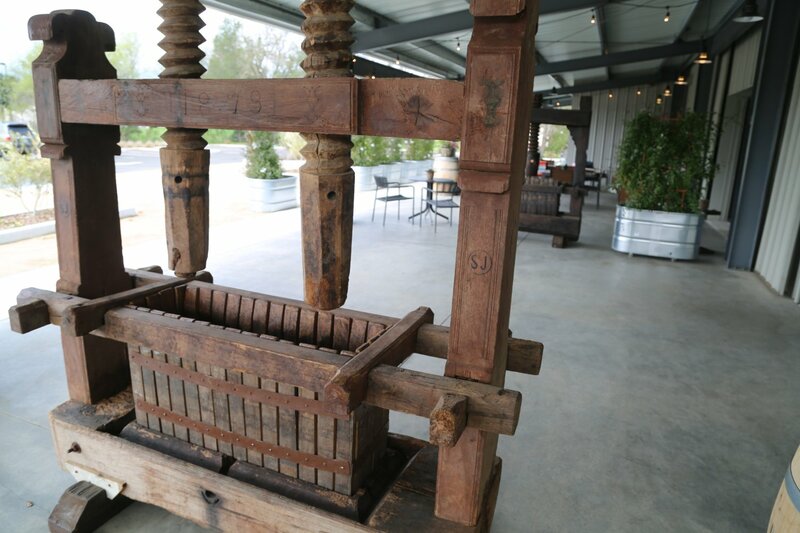 An old Italian press dating from 1873 stands outside the tasting room. 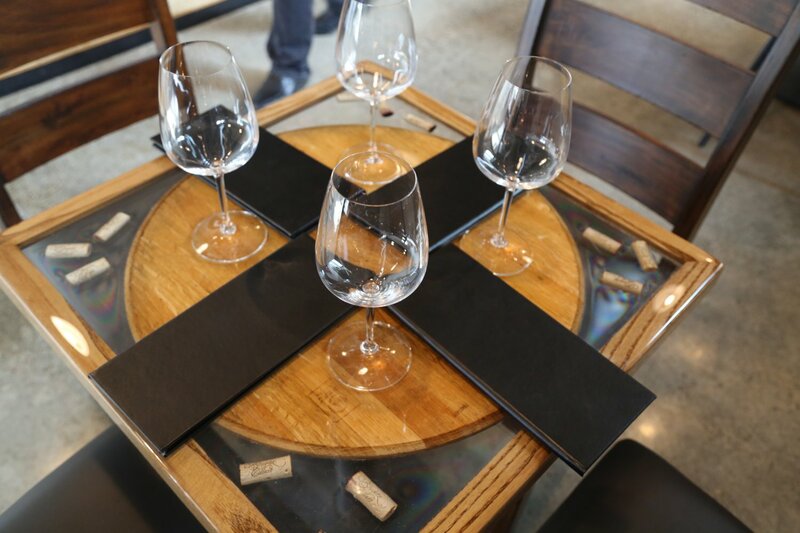 This is for decoration – it is not used in their winemaking. 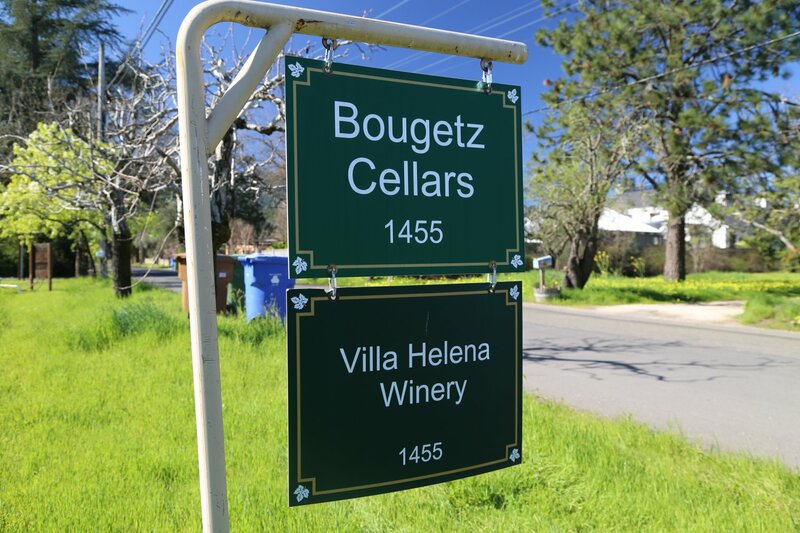 The first vintage of Bougetz Cellars was merely 50 cases. 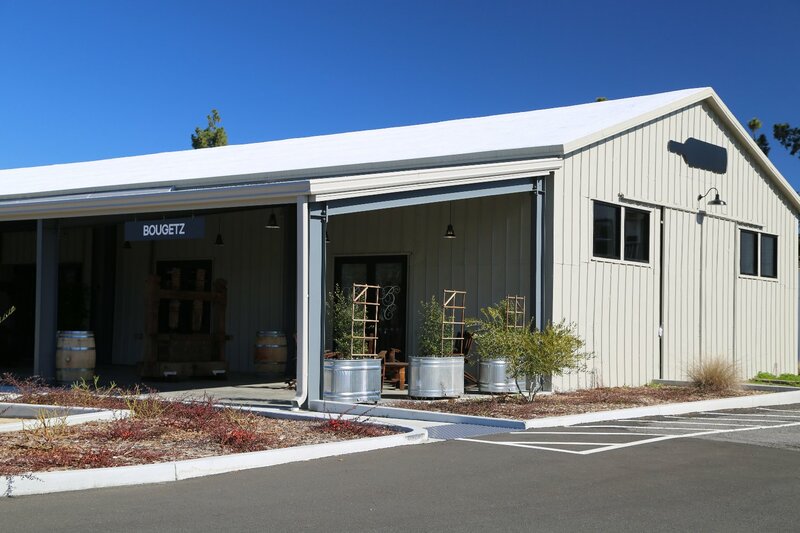 Today their production is around 1,500 cases each year with the focus being on Napa Valley wines (the exception being their Russian River Pinot Noir grown in neighboring Sonoma County).